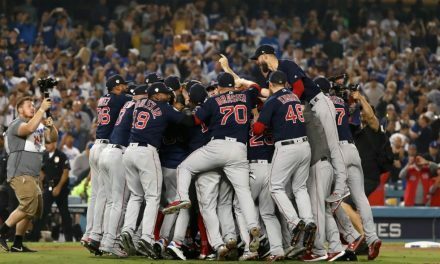 The Red Sox will be back home in Boston after their 11 day road trip. Facing the Oakland Athletics are Rick Porcello, Eduardo Rodriguez, and Chris Sale. The Sox have won the last seven out of 13 games, while Oakland won five out the last 12 games. The Red Sox will face pitcher Sean Manaea for the first time since his no hitter game in April. 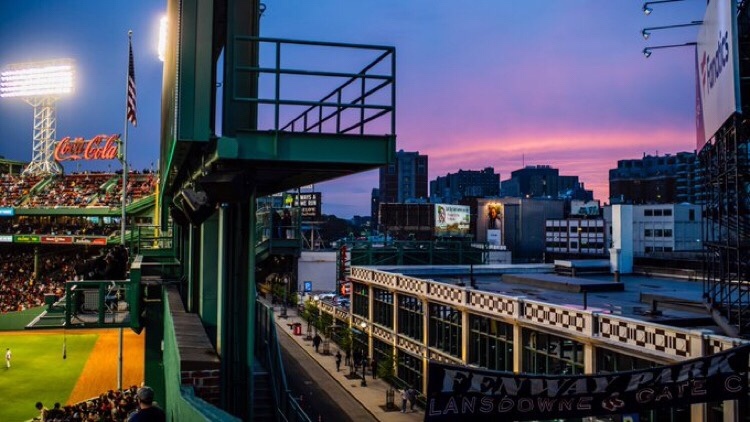 The Sox hope that being on Fenway soil will help them defeat the Athletics. This series will also be the last time that the Red Sox will face the Athletics during the regular season. Sean Manaea pitched a no hitter to the Red Sox last month. J.D. 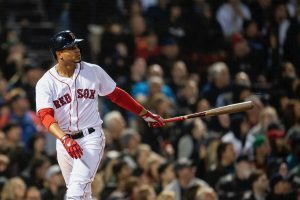 Martinez and Rafael Devers each hit a solo home run for the Red Sox. Porcello let up five runs and nine hits over six innings, and struck out five. Trailing in the fourth inning, the Athletics grasped the lead with three runs. Lucroy had a two-run double into the left-field corner before Fowler tripled off the Monster. The Red Sox caught up 4-3 in the fifth, when Hanley Ramirez scored a run with a ground ball. J.D. Martinez hit straight out to the Sox bullpen in the eighth to score. Benintendi and Ramirez got back to back RBI singles. Unfortunately, it was not enough, and Oakland won Monday night’s game 6-5. Due to the weather, the 7:10 start time moved to 8:50 on Tuesday night. As a result, Oakland beat the Sox in nine innings. Rodriguez took his first loss of the season after Oakland had six hits through the first three innings, starting with back-to-back singles by Semien and Pinder to start the game. 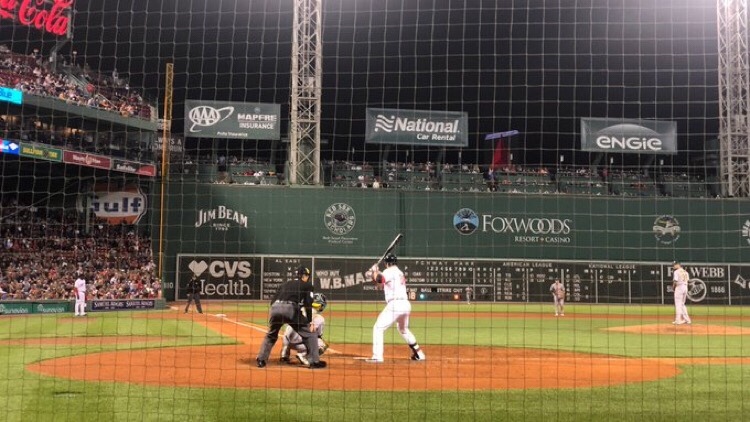 Piscotty hit a monster home run out of Fenway Park in his first at-bat against Rodriguez. Piscotty’s home run was the first he had hit since his mother’s death on May 6th. 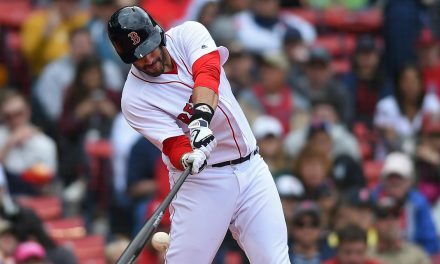 Andrew Benintendi hit a homer and Mitch Moreland hit two doubles. In Rafael Devers’s 100th major league game, the Sox came out with a win. Xander Bogaerts hit a three run homer, and J.D. Martinez hit a two run homer. 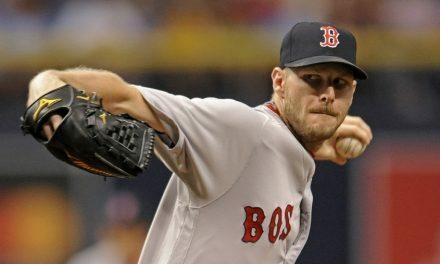 Chris Sale gave up two runs and two hits in five innings. Sale also struck out nine and walked four. Trevor Cahill gave up three runs out of the first four batters he faced. After Sale’s career high 15 strikouts in his last outing, he struggled, but hung on long enough to keep the Sox up over the Athletics. 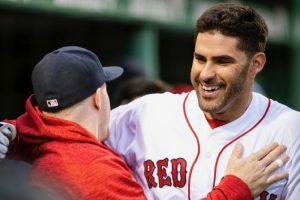 Craig Kimbrel grasped his 12th save of the season and avoided the Sox meeting their season high losing streak. 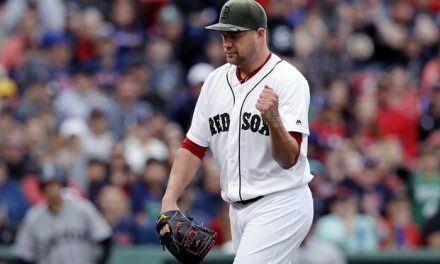 The Sox beat the Athletics 6-4 after Xander and J.D. had quite the night. The Red Sox will be at home again to face the Orioles for a four game series starting Thursday. David Price will be up first for his Fenway return. Dustin Pedroia will play another game in Pawtucket by the end of the week as Tuesday night’s game was postponed due to the weather. Jackie Bradley Jr. is still spending an immense amount of time on the bench as he has constantly had bad games. Cora is hoping that Bradley Jr. will come out of his slump soon, as he has been working on improving both his defense and his offense.